Side dishes often become boring and uninteresting. 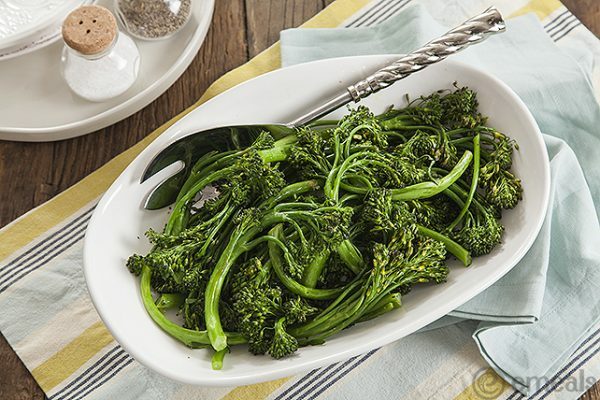 This lemon garlic broccolini side dish is anything but boring! Not only is it healthy, tasty and pleasing to the senses, it’s easy to make, too! Once you make this broccolini recipe, you’ll be tossing it together several times a week to pair with different dinner ideas and may even make an extra large batch and toss some in with your lunch. The pairing possibilities are endless for this delicious dish. Pair it with Rosemary Chicken or even Fish. Pair it with your lunch soup for the next day, anyway you serve this recipe, it will work in perfect harmony! Try it today!